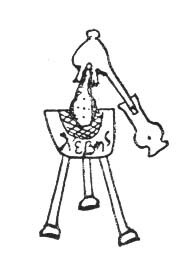 Throughout history, there have been many philosophers of Alchemy. The first known was Thales of Miletus (640 - 546 BCE), but he left no writings. 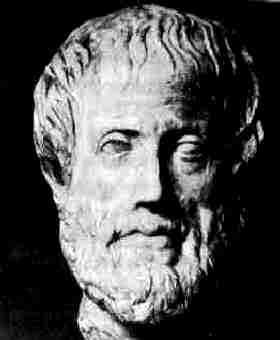 What we know of him today is attributed to Aristotle who talked about Thales in his writings. There was Thales of Miletus, Democritus, Aristotle and, suprisingly, Isaac Newton. The two main and most important alchemical philosophers were Democritus and Aristotle. Democritus was one of the first philosophers to develop "atomic theory." 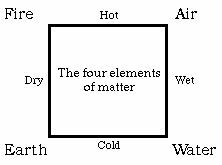 Democritus believed all matter consisted of one substance called prime matter. He called the smallest unit of prime matter atoms. These atoms were small objects that made up all matter, and could not be divided into a smaller form. He also said an atom was small, full, incompressible; without pores and homogenous. Democritus thought there were different types of atoms, and these differences accounted for physical differences in objects. Democritus stated that the function of respiration was to bring in new atoms, and expel the old ones. When arsenic and sulfur were combined to form the substance realgar, the qualities in the two reactants either combined with each other, or, if they were antagonistic, annhilated each other. The cold in the arsenic combined with the cold in sulphur, the dry in the arsenic combined with the dry in sulfur and so on. To Aristotle, the realgar, which we call arsenic sulfide, was a new combination of qualities and elements, the sum total of which had been in the separate reactants. Because this new combination of qualities was different from that in either the arsenic or the sulfur, those two materials no longer existed. According to Aristotle, all chemical reactions were possible, some needed more energy than others. He also stated that the heat of the sun on the earth makes two " exhalations " ; one being a dry and hot smoke, and the other being a cool, moist vapor. One of these " exhalations " produced metals, the other produced minerals. Aristotle's ideas were acceptable at his time, and held for a good 200 years (approximately 500 - 300 BCE). People during this period did not always write a book in their name. Some would write in the name of their favorite god, others in the name of their contemporary ruler. Because of this, it is hard to determine who actually wrote certain texts. The brief biographies above assume all texts with the respective attributed names were written by that person.